Hi, I’m Sarah, and I’m pale. When I was pregnant I had hoped that Avery would be born with my strawberry blonde hair, and blue eyes, but that, somehow, magically, she’d be born with her father’s tan, French Canadian skin tone. I’ve written before about how seriously we take sun safety. Dave’s grandmother lost her life to skin cancer, and living in the Ocean State we see the damage the sun can do to your skin every day. As someone who burns just looking at a picture of a sun scribbled on construction paper, and the mom to an equally “Fair skinned” little one, I am never without sunscreen. My biggest problem is, that I also have very sensitive skin, and have found that I can’t use any of the lotions, and have to use the aerosol spray stuff. From what I’ve read, that stuff isn’t all that good for you. In fact, it’s terrible. When I heard about Block Island Organics I knew I wanted to try it. I thought even if it didn’t work for me, it would be a nice, safer option for Avery! Block Island Organics are Made in the USA (YAY ‘MERICA!!) and is organic, mineral based,non-comedogenic, vegan, paraben and phthalate free, nano-particle free and free of artificial fragrance! Their formula is also free of eye irritants (which is so wonderful when you’re using it on your face and especially on your child’s face!) So, what all those big words mean is…pretty darn awesome! Oh! And SAFE! Brother and sister team Lauren and Will von Bernuth founded Block Island Organics in 2012 when they were frustrated at the lack of a top quality, safe sunscreen on the market. They wanted something they’d feel good about selling at Lauren’s spa, Koru Eco Spa on Block Island, RI. I was really shocked to feel that the sunscreen was completely Non-greasy. I absolutely hate the feeling of greasy lotion on my hands, so this was a definite PLUS! It also had a nice light scent, and didn’t leave us smelling like chemicals (like my spray on stuff) AND a little goes a long way!! I didn’t feel like I was using half the bottle for one application! It was awesome! It provides broad spectrum UVA/UVB protection and is water resistant for up to 40 minutes. 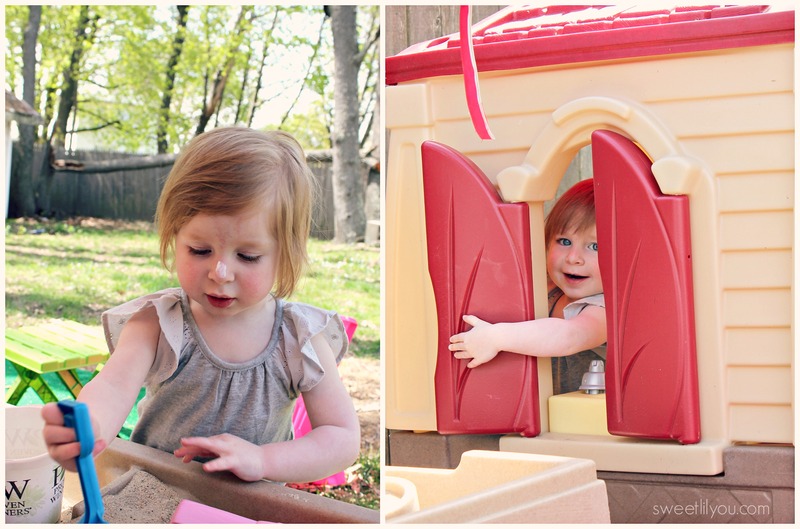 Avery was happy to play outside all day (until the clouds came out and the wind picked up….WTH New England?!) And I felt good about the sun protection she had! I also want to mention that May is Skin Cancer Awareness Month. Take a minute to check out the Melanoma Research Foundation site for more info on skin cancer! 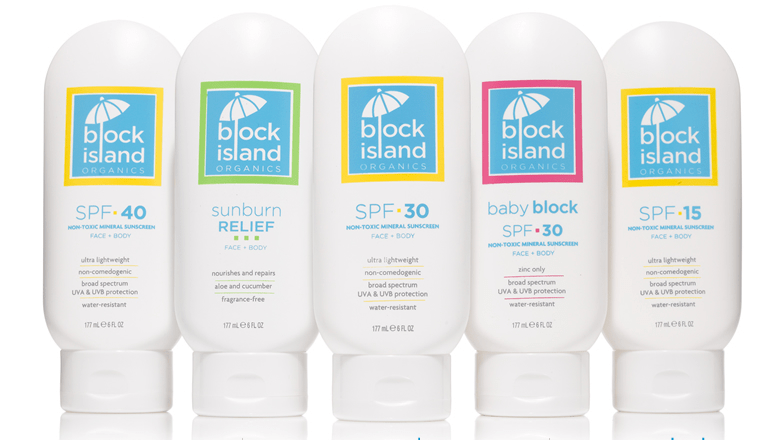 This entry was posted in Life, Reviews, travel and tagged block island, block island organics, getnaked, health cancer, melanoma, skin cancer, skin cancer awareness month, skin care, sun safety, sunscreen, wellness. Hi! I can’t wait to try BLOCK ISLAND ORGANICS. Great post! Laura recently posted…Courage Blog Book Tour: What Would You Do If You Knew You Could Not Fail? It’s truly the best sunscreen I’ve used!! You’ll love it! Love BIO! 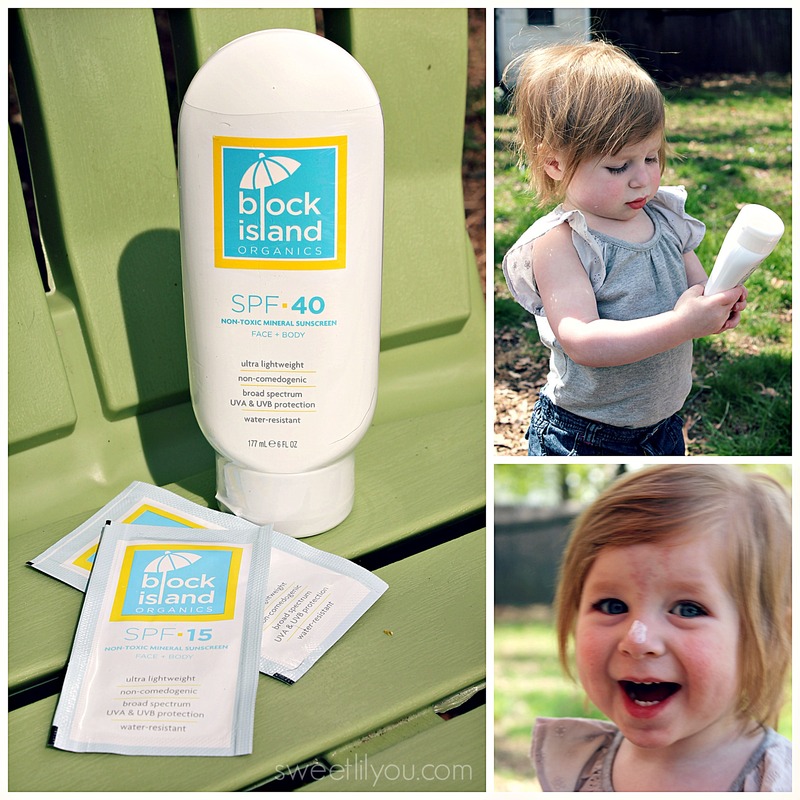 So happy to find a product that we can all use, that doesn’t make anyone feel coated in extra thick organic sunscreen. It was clean, easy to use and most of all – effective! 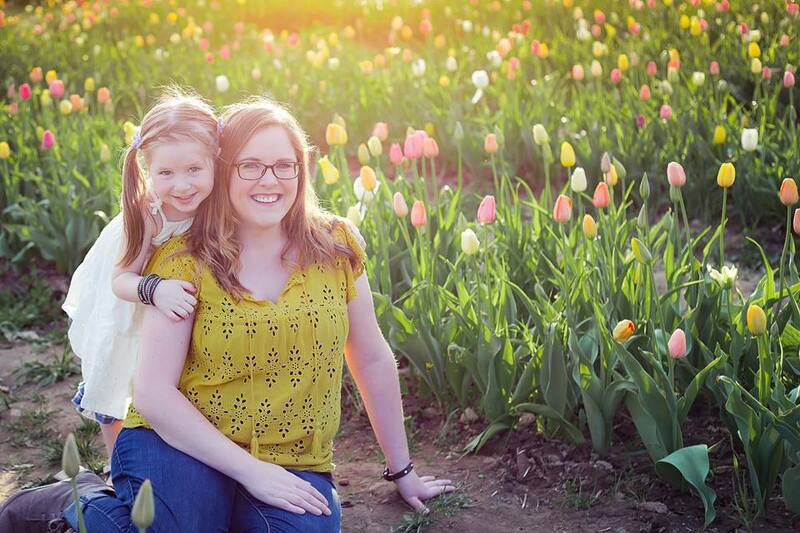 Kirsten recently posted…Happy Mother’s Day to ME!